I was initially brought onto the GameDesk team as a programmer for Dojo tasked with building all of the gameplay, effects, dialogue systems, and integrating the IOM Stress Monitoring device. Dojo's purpose is to help teach meditative stress management skills to teens who have trouble controlling their anger. 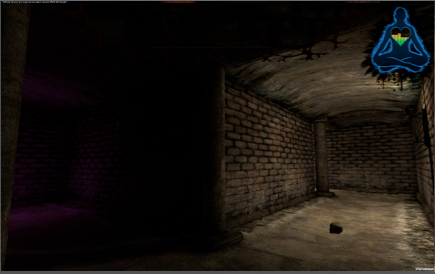 The game begins in a subway station with a mysterious wall that opens up into an underground, urban dojo. 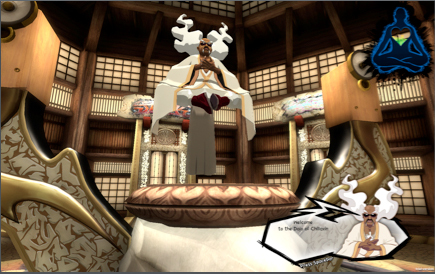 In this setting, players encounter 4 different masters of mental balance, along with gameplay challenges that enable the player to prove their newfound control. Building a pathfinding AI system with the ability to wanter and hunt. Building a universal trigger system used for most gameplay mechanics. Designing and implementing a trigger-based dialogue system and corresponding dialogue events. Building a real-time cutscene and pre-rendered movies system. Calibrating & integrating the IOM monitoring device, as well as develping algorithms for interpreting its readings. Teaching another designer/programmer how to use the Unity game engine and working with him in the creation of the Zen Maze mini-game. For more information on Dojo, visit its section of the GameDesk website at: GameDesk.org/projects/dojo. ...or watch a video of it in action Here! Currently, Dojo is part of a study being conducted by USC Professor, Michelle Riconscente, that is aimed at measuring the game's actual effectiveness in actual use. The study consists of 200 Los Angeles area High School students playing the game on a regular basis, gathering stress level data from playthroughs, and then examining that data to quantify changes student behavior. The study also examines behavior reports from the students' principals and teachers in relation to the gathered data.